The Marina Kit is equipped with a 12-in. Snout and a Bio-Skirt. 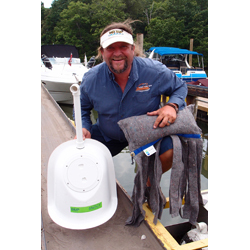 When installed in a sump catch basin, the Snout, like a baffle, skims floatable trash off the surface while heavier materials sink to the bottom. The Bio-Skirt is a floating skirted boom that attaches to the Snout to target hydrocarbons.